READING, Pa., (October 15, 2013) – EnerSys® has expanded its ODYSSEY® Performance Series™ battery product line to include a Group 34 battery and Group 78 battery, designed specifically for consumer passenger and commercial vans, custom and classic cars and SUVs. 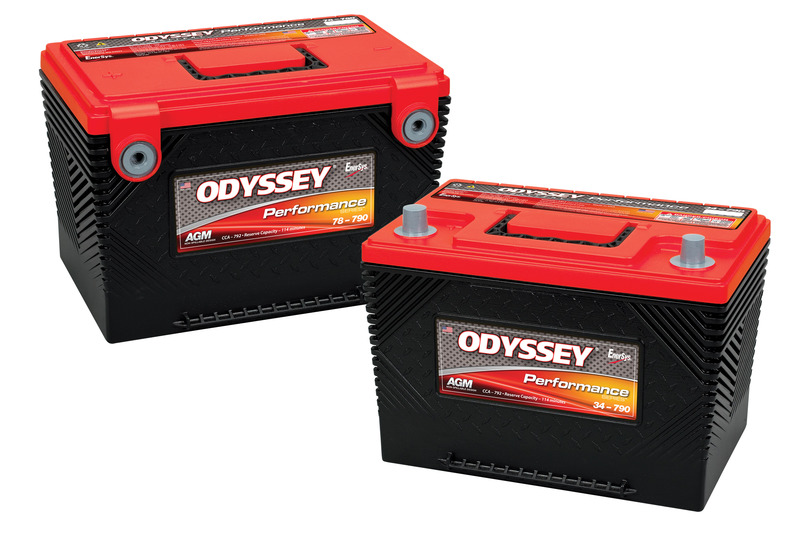 The ODYSSEY® Performance Series™ 34-790 battery and the ODYSSEY® Performance Series™ 78-790 battery both feature 792 cold cranking amps (CCA) and 114 reserve capacity (RC) minutes. They also feature deep cycle capability up to 400 cycles at 80 percent depth of discharge. While ODYSSEY® Performance Series™ batteries do not have as many CCA and RC minutes as ODYSSEY® Extreme Series™ batteries, they feature the same rugged construction and offer equivalent deep cycling capabilities, long service life and high reliability. They also deliver more deep cycle capabilities for parasitic loads. ODYSSEY® Performance Series™ batteries offer a three- to 10-year service life and two-year storage life at 77 degrees Fahrenheit (25 degrees Celsius). They are vibration resistant, classified as “non-spillable” by the US Department of Transportation and include a four-year full replacement warranty. The ODYSSEY® Performance Series™ 34-790 and ODYSSEY® Performance Series™ 78-790 battery correspond to Battery Council International (BCI) Group 34 and Group 78. In addition to these new battery models, the ODYSSEY® Performance Series™ Group 65 battery (65-760) will launch in January 2014. For more information about ODYSSEY® Performance Series™ batteries, visitwww.odysseybattery.com. EnerSys, the world leader in stored energy solutions for industrial applications, manufactures, distributes and services reserve power, motive power and starting, lighting and ignition (SLI) batteries, chargers, power equipment, and battery accessories to customers worldwide. SLI batteries are used for trucks and buses, passenger cars, boats, personal watercraft, ATVs, motorcycles and garden tractors. The company also provides aftermarket and customer support services to its customers from more than 100 countries through its sales and manufacturing locations around the world. For more information about EnerSys and its ODYSSEY® batteries, visit www.enersys.com orwww.odysseybattery.com.